I was able to turn Thanksgiving into a 4-day solo road trip this year so I planned to backpack a trail that’s been on my list for a while: the Berryman Trail between Steelville and Potosi. It’s a 24-mile loop that was originally built by the CCC in the 30’s. I figured on spending 3 days there and then stopping for a short day hike and reconnaissance at Lake of the Ozarks on the way home. The west side of the Berryman loop has been incorporated into the Ozark Trail as miles 22-33 of the Courtois section and the OTA has the best map I’ve found so far. The west side has the customary OT blazes. The east side is mostly unblazed but has “BT” signs where old roads are crossed so it was pretty easy to follow. Always eager to get going, I managed to get on the road late Wednesday and spent the night at a hotel in Rolla. Thursday morning I drove the remaining 50 minutes to the trail head at the Berryman Campground, got geared-up and was on the trail – headed clockwise – shortly after 8AM. I eventually realized that getting such an early start meant it might be possible to hike the whole loop in two days. I’d done an 11-mile day (with backpack) once, but could I do 2 12-mile days consecutively? Challenge accepted! One potential problem, though, was the weather – the previous night’s forecast had a 50% chance of showers in the afternoon. The rain had held-off and the afternoon light was fading as I turned north off the “OT” part of the loop onto the BT-only part. I hiked up around the end of a ridge and found a good-looking place to camp for the night, about 12 miles from my starting point. 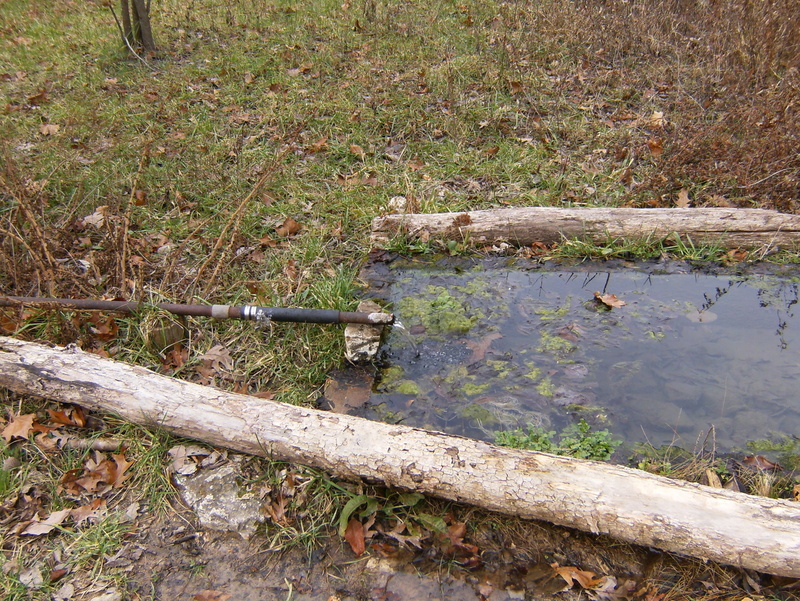 I found water that day at the expected sources – Beecher Spring and Little Brazil Creek near Harmon Spring – so I kinda regretted packing-in 4 liters of water and probably won’t do it next time. I think the area between miles 22 and 24 on the map has been rerouted – following the contours higher up instead of heading straight down the drainage – so that part is likely to be longer now than just 2 miles. It sure seemed longer! After setting-up camp I checked the weather forecast and was glad to hear the chance of rain had been reduced to 20%. I prepared dinner, ate, did the evening chores, and sat on a log to relax. It was now 5:30 PM and I wondered how I would pass the hours before going to bed, but within a couple minutes it started to rain. 🙂 I headed for the tent to wait it out but with the patter of rain, some distant thunder, and fatigue, I was lulled to sleep probably within 10 minutes. I awoke – still dressed and cold – about 9:30 to a clear and dark sky. It sure felt good to get that sleeping bag around me. I was up at about 5:00 AM and hit the trail shortly after 7:00 this time. My feet were a little sore so I was a bit uncertain about finishing today but I’d sure give it a go. The trail from this point over to the Brazil Creek Campground was pretty nice – contouring high above steep and deep ravines. I stocked-up on water again at Brazil Creek but this time it was a good call – there was no other to be found along the trail on the east side. 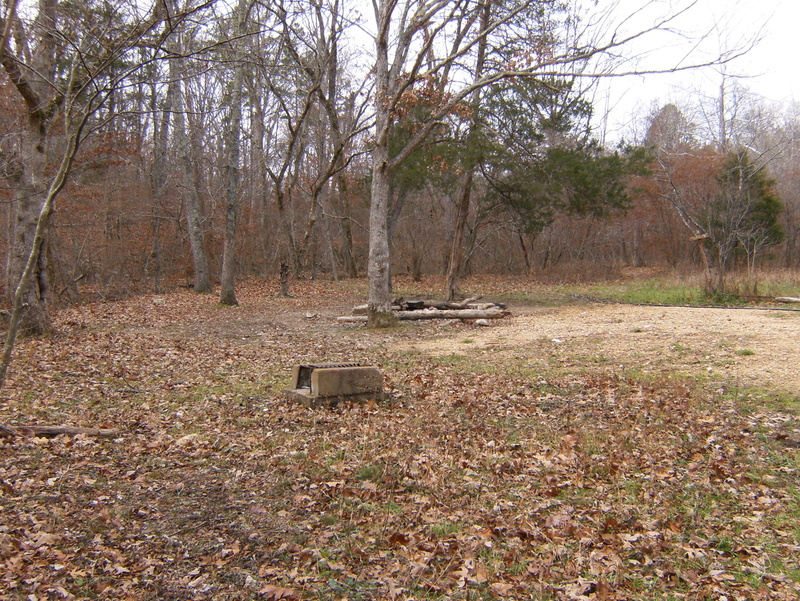 I made it back to the Berryman Campground about 3:00 PM – mission accomplished (for real though)! There were no other people in the campground, kinda surprising for a Friday night. Perhaps the low 20’s forecast discouraged everyone else? Once I got the boots off I found that part of my foot soreness was a blister at the front of the ball of one foot. It was a bit tender but not painful. I awoke Saturday to 22 degrees and a nice layer of frost on the inside of the rain fly. The water bottles in the tent weren’t frozen but did get slushy once I moved them outside. After breakfast I packed-up and hit the road for the next destination – one that’s been on “the list” but hadn’t been planned for this trip. Maybe next time, I’ll turn left. 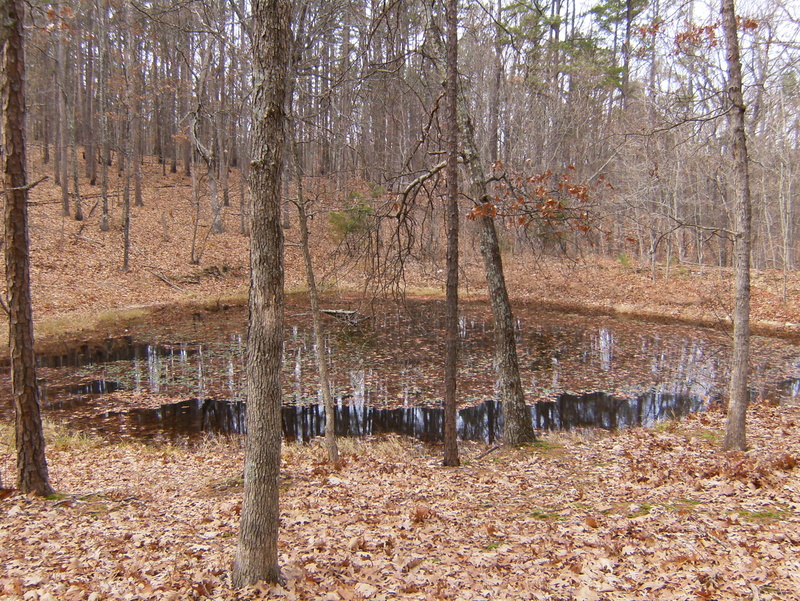 The “Vernal Pond” near OT mile 24. 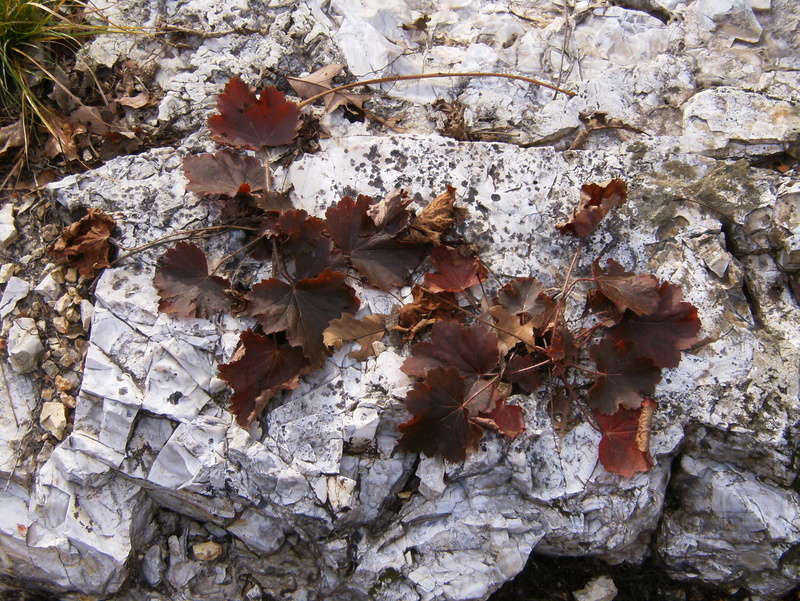 Heuchera growing right out of the rock. 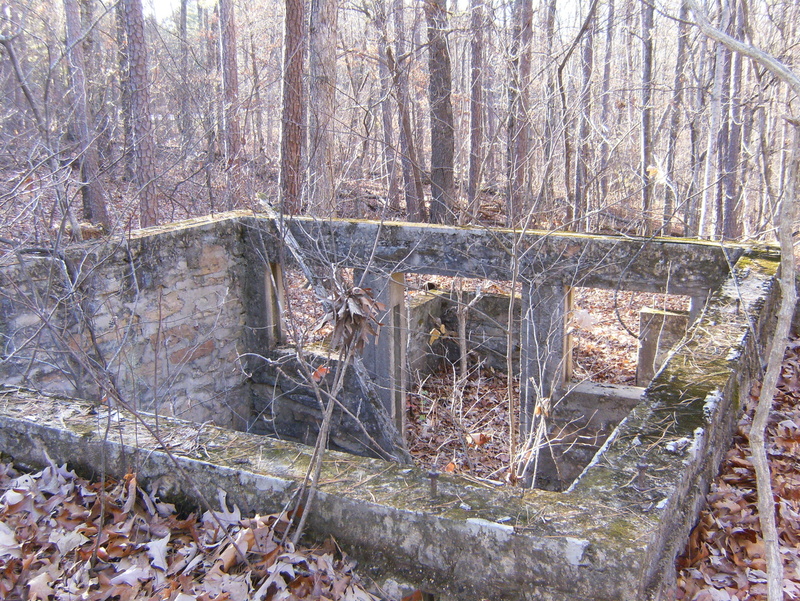 The foundation for one of the old CCC buidlings at the Berryman Campground. A rant: I left with 2 quart-size bags full of trash picked-up from the trail. Most of it was Hammer Gel / GU / Clif Shots packets (many chewed by animals) with a few miscellaneous candy wrappers. I just cannot understand what kind of mental process leads someone to decide it’s okay to just throw their trash on the ground. Do they think plastic and foil biodegrade? Do they just not care? It infuriates me. Those assholes better pray that I never catch them in the act. 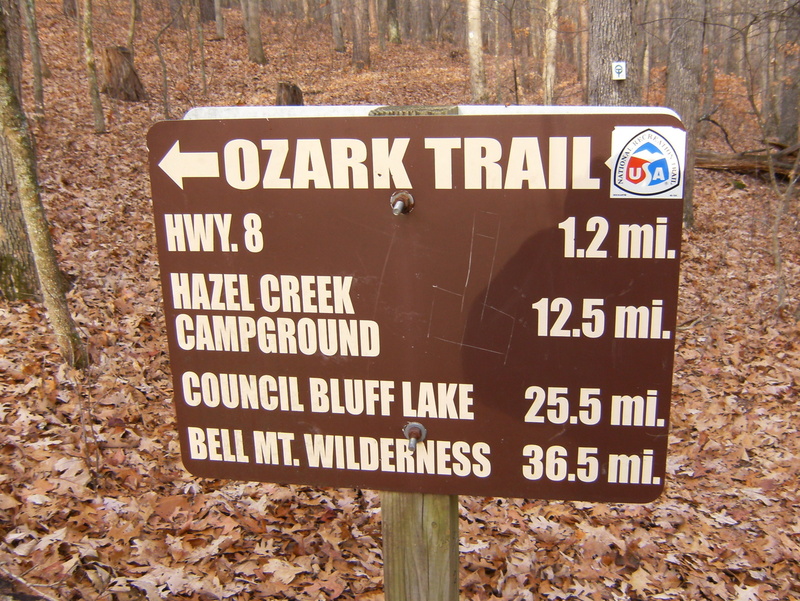 This entry was posted in Uncategorized and tagged Hiking, Missouri Ozarks, Ozark Trail. Bookmark the permalink. Sounds like you had a good trip. We hiked the BT in Spring 2011. I want to do it again with the GPS so we can produce a trail map, It looks like we took similar pictures! It’s good to know that Little Brazil Creek had water, I think it’s in part spring fed from Harmon Spring. Was the trail to Harmon Spring really muddy? When we went through it looked like someone had blazed a higher trail avoiding the mud, but we didn’t follow the blazes, and stuck to the very muddy original trail, I think that’s the re-worked bit you were referring to in your write up. On the last part of the trail we found water in the top end of the creek in Smith Mill Hollow, but the creek dried up pretty quickly as you went down the hollow. I saw your trip report and gleaned info on water availability, so thanks for posting that. I was surprised to see nothing in Smith Mill Hollow but I only looked at the crossings, I didn’t follow the creek bed upstream. 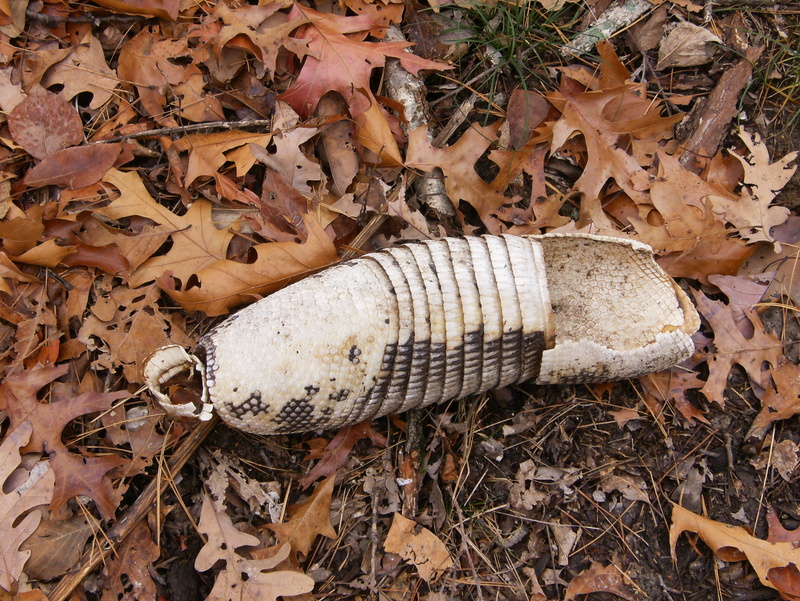 I find trash pretty much everywhere too, but never this much of it on a non-urban trail. The St Louis Ultrarunners have races out there and I kinda suspect that’s where much of the trash originated. That would fit with the pattern I see on certain trails in the KC area.